This week marks number five in school. Are we seriously half way through September? Fall is upon us. I know because my Pinterest feed shows anything pumpkin. Pumpkin projects, pumpkin decor, pumpkin spice lattes from Starbucks. YUM. 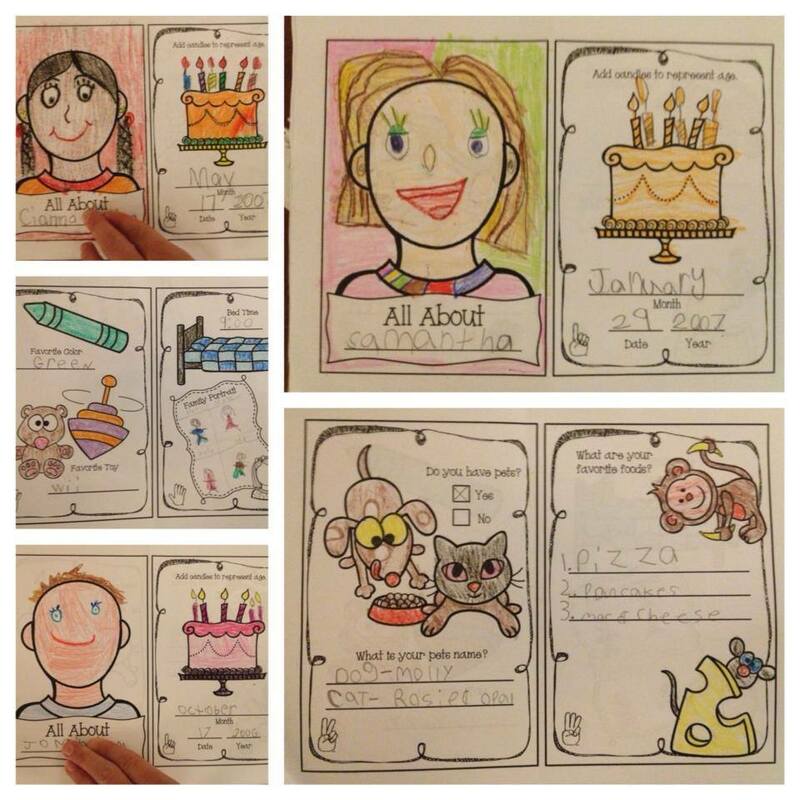 When school started, I created a Mini About Me Book. This was our first week project. With enrollment up and a couple of students that moved away, I have 6 newbies and 14 returning students. I wanted the kids to work on a way to introduce ourselves! Great way to begin common core speaking and listening objectives. I uploaded the file on Sunday. After a little request, I updated to include a Canadian version! I hope you've had a terrific Tuesday! 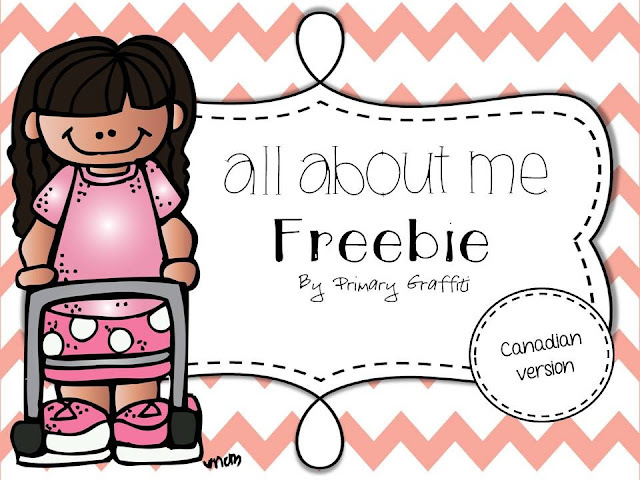 You'll have to download the preview on TpT to access the links for my various blog posts. Each post has previews the same as this post. Hair buggies terrify me! I know I shouldn't feel terror but it's there. At the start of each year, I discuss hair bugs and the importance of keeping our hands to ourselves, especially on the carpet during my mini lesson. Think-Win-Win. Explaining hair bugs helps eliminate the overwhelming desire to touch the long lox of a darling sitting in my mini lesson. At the same time, I eliminate a possible distraction and ensure attention is received from each child. Just recently, I read an article on Woman's Day entitled 10 Things You Didn't know about Head Lice and was surprise by the myths I believed in. There are many wonderful tools to assist with your planning. 5 Creepiest Bugs That Could Live on You provides a magnified image of a Bedbug, Flea and Tick, Mosquito, Dust Mite, and Head Lice. Oh.my.word! I didn't like the look of the buggies in it's life size glory. Magnifying the view has led me in a downright itch. I heart Brainpopjr. I pay $8 a month for unlimited videos. My membership includes the use on one device. Since I only show a video for engagement or introduction to a new topic, it's shown whole group. Each video has a lesson link, activity, and game to go with the topic. I shared a video this past week on Brainpopjr entitled Lice. PBS Kids teaches students about head lice with Arthur, a beloved series of books tackling various health topics. Arthur Presents Hooray for Health: A Health Curriculum for Kids. The files provides background for each topic, book recommendation, lesson ideas, family connections, response pages, coloring sheets, and more. I recommend downloading! I'm thrilled to share a MUST have book for your health collection. 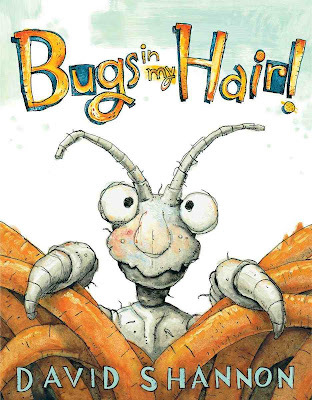 Bugs in my Hair is written by David Shannon (in stores now). This story is perfect for kids in PreK through 2nd Grade. The illustrations are vivid and the content is creatively delivered with a humorous twist. This story was an absolute hit with my students! Who wouldn't fall in love with a book that has Lice-Apalooza referenced inside!?! Art © David Shannon 2013. All Rights Reserved. I'm over-the-moon with excitement in offering one winner a copy of David Shannon's Bugs in my Hair, Bad Case of the Stripes, and No David! Yep, all three!!! However, the giveaway is only open to persons with a US address. I'm sorry fellow followers from other countries! Prizes and samplings courtesy of Scholastic. Please visit the official website of Bugs! 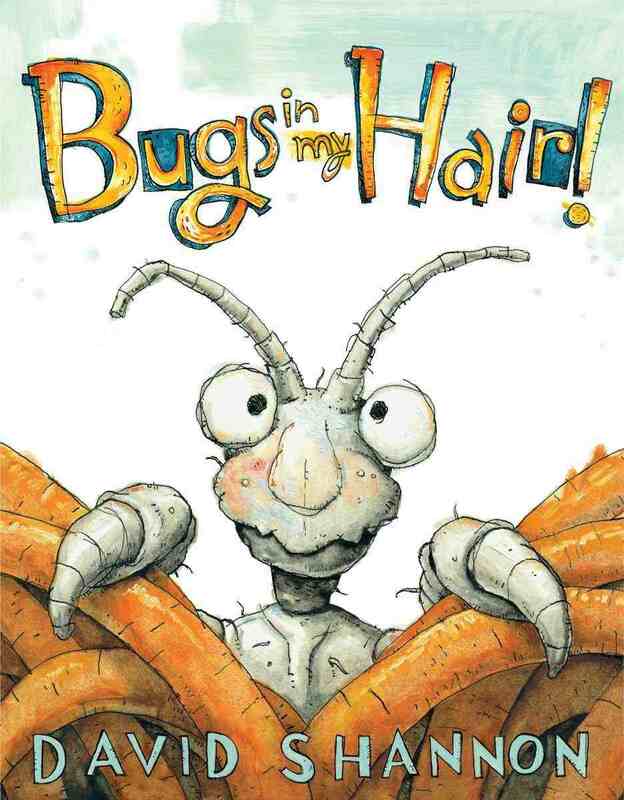 David Shannon cracks me up in a video discussing the book and his experience with Hair Bugs. You can read more about David Shannon and his books on Scholastic. With a school wide Book of the Month for Jan Brett's The Umbrella underway, I've been working to complete a literacy companion. This book is rich with content and aligns wonderfully with multiple core and science expectations. Our school theme for the year happens to be rainforest with each grade level selecting a specific continent to highlight. In the past, we work through lessons and host a culminating event at the end of the year. Links provided for a class webquest on each animal! Links provided for class webquest on the additional rainforest animals. There are many ways to teach this book. This week I will be diving into my learning of The Umbrella and the rainforest. I plan to come back and share pictures soon! Open house is next week. I hope to have lots of stuff up on my wall! Copyright Cheryl Saoud. Powered by Blogger.